Hi all the ArchCG members, today i want to announce a new challenge on ArchCG. This time challenge is focus in Lighting and Texturing. 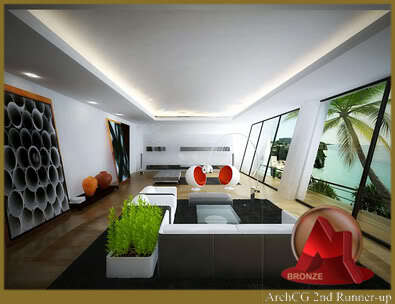 A model room is available for download on ArchCG. 1. 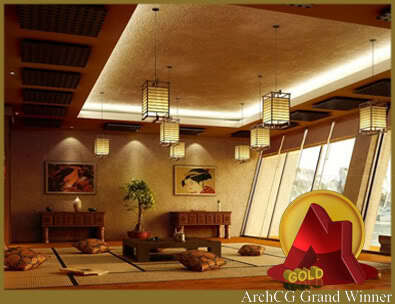 The competition is only open for ArchCG members, no matter foreigner or not. 2. Model room is provide from our forum. You can download it on this thread. Modify of the existing room is not allowed. you can only enhance the scene by putting on textures, lighting and other accessories. 3. You can using free model as the asccessories. 4. Angle of camera is totally free, you can send more than one cam angle. 5. You may use any softwares. Post-proccessing is allowed. 6. You may also post more than one entry. 7. Juries are the forum's moderators. Moderators can be join as the participant, but for the jury's vote, they must be honest to vote the winner of the challenge without any collusion with anybody. 8. Before submit the final entry, participant must create a thread on the challenge #2's forum. The participant must post 2 times of WIP work as the participant progress before submit the final work. 9. Jury will announce 3 of winners, Grand Winner, 1st Runner-Up, and 2nd Runner-Up. 10. Deadline of the challenge will close on Thursday, April 30, 2009. Annoucement of the winner will be announce as soon as possible after juries have voted. 11. The challenge theme is about "Living Room Design". Style of the design is free. You can design it as long as you can. 12. The title format is " [Username] "Title"
13. On this challenge there's no prizes, but the winners will have a winner logo. This logo award will be plugged to the place of avatar and will be there till the next winner challenge announce. The former winner challenge logo will be replace with the original one if the winner can't be a winner on the current challenge. 14. The other rules will be updated. 15. If the participant have any of questions, you can reply to this thread. 1. Visualization of the final rendering and texturing image. The challenge's deadline will be extended to May 31st, 2009. To all the participants this is good for you to have more time to run it good. So guys if it's not yet finished, now it's time to you to finish it and for you guys who has not yet to do it, please download the free model on this thread. making your own style and design as unique as you want which is there's still lot of time to do it. feel free to do it guys as long as the participant still on the challenge rules. lohh pemenang cm dpt logo??? hayo donk sis, ikutan, biar tambah rame getu. haram bicara gaji boss ckckck.. 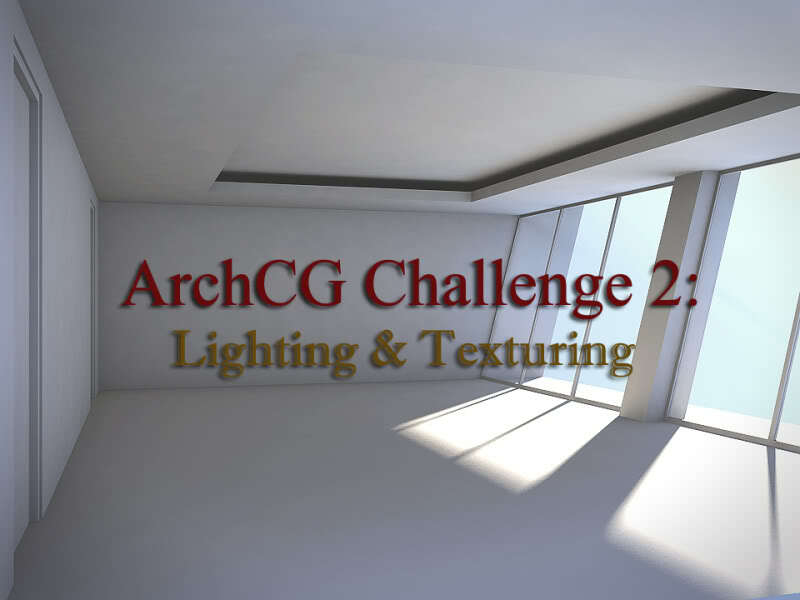 Here's the final judgement images submitted from our challenge's competitors...good luck to you all, who has spared you times to join to ArchCG Challenge #2. The winner will be announced as soon as possible. Now it's time for jury to judge the submitted works. Your mood is great. You're very good to apply the Japanese style on this design. Lighting, Texturing is natural on your rendering. That's good. 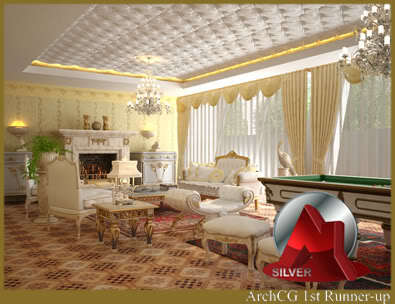 The furniture is great, you also can apply the classical atmosphere to the modern room. even the shader is too soft on your scene, but truly in the overall outlook, your works are stunning me. The design is simple,but elegant. that's good too. I really enjoy the color scheme of this scene, it's really nice even the design is so simple. Lighting also great, but some part can be improve. Congratulation to all the Winners and to all the participants, you're all the winner too. "Very good lighting, depth-nya benar2 kerasa. Tone color dan desain juga bagus. Well done!" 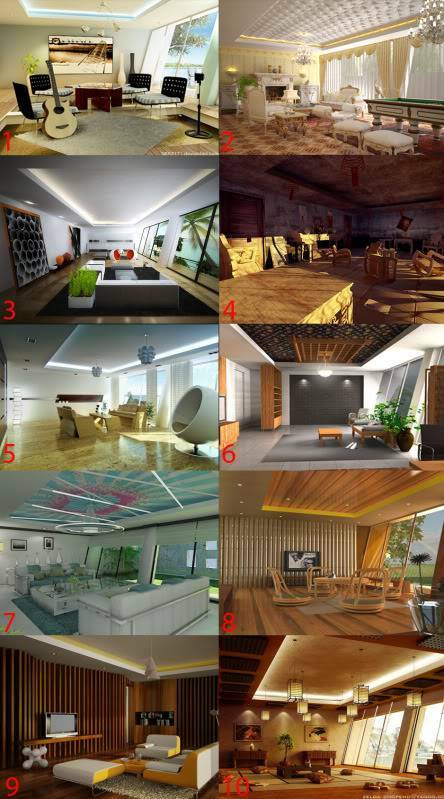 "Full of details and natural lighting"
"Nice modern living room design"
-Desain juga bagus. Good Job! congratz to all the winner. waduh... g lupa update yah... sori2 moderator , tapi karena dianggap unggul dalam disain dan menduduki peringkat 3 saya ucapkan banyak makasih nih. moon maaf lupa. kalo gak da pemberitahuan ini mungkin gak tau pernah ikut disini ,haduh2 ck2 dah tua nih pikun2 ... tapi thx atas penghargaan nya. selamat buat para pemenang .